Hi, My name is Glenda and welcome to the Bridgetown Boarding Kennels and Cattery, I have been operating for over 15 years and dedicate my life to the well being of your loving pet. I have 6 large grassed exercise yards, and if your dog is social they get to play with other dogs of similar size and temperament. I provide bedding, toys, food and plenty of shade in summer. During winter I put dog coats on overnight to keep them all cosy and warm. I cook mince and rice every day, but if your dog has a special diet you are welcome to bring their own food. I also administer your dogs medication at no extra charge. 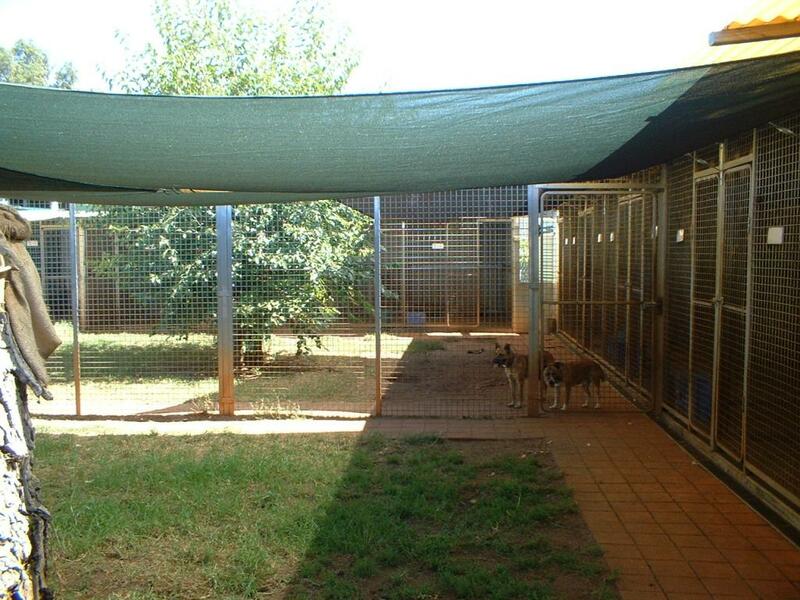 The cattery is separate from the kennels for extra peace and quiet. It is shaded and air conditioned in summer and during winter it is heated. The cats are in separate enclosures with a shelf for them to sleep on, but they can see other cats so are not totally isolated. I provide a basket and bedding for your cat, but you are welcome to bring your own. They are given biscuits and water all day and late afternoon are given Whiskas tin cat food. If your cat has a special diet you are welcome to bring your own food. Medication can be given at no extra charge. 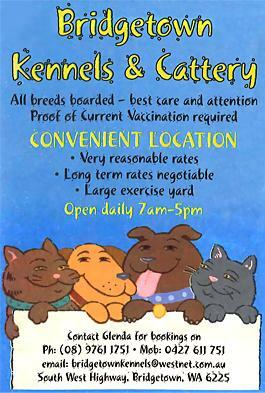 Proof of current vaccination is required for both dogs and cats. I also operate a pet re-homing service, so if you are looking for a dog, puppy, cat or kitten and want to give a poor soul a second chance in life give me a call, I may have just what you are looking for. Or alternatively I can put you on my books and give you a call if something suitable arrives for re-homing.